Landing speak engagements can seem like mission impossible, you try your hardest all the time without booking any result. This can be incredibly frustrating and might make you want to give up, but not yet because I have some tips for you. I can’t ensure you that anything will happen, but the chances will be a lot bigger than you’ll land more speaking engagements when you follow all the tips I have in preparation for you. So, I won’t keep you waiting any longer and give you all the tips that will help you land more speaking engagements. This tip will not directly get you more speaking engagements, but it can help you market yourself. It is hard to find a speaking engagement when you’ve got no proof of your talent or expertise. A blog can show to the world what knowledge you have on certain topics. So let’s say that you met someone who is remotely interested in your speaking talent when you have a blog you can direct them to your blog so they can find out whether they appreciate what you’ll be able to speak about. And on top of this, it is also an amazing way of building and expanding your own knowledge, which is always a plus if you want to become a better speaker. And having a blog will also make it easier for people to find you and to offer you speaking gigs. You could even upload videos of you speaking on certain topics to truly showcase your talent. It’s incredibly hard to find paid speaking engagements when you have no experience and nobody knows your name, that’s why it’s smart to start off speaking for free. You should let all your contacts know that you would love to speak for free. On top of this, you should contact the business in your area or any other places where you would love to speak know that you want to speak for free. There will surely be some places that love to see you speak for free. This way you can build your network, gain experience and showcase your talent to the world. Social media is important in general when it comes to landing speaking engagements, but I’ll be giving some special attention to LinkedIn. When you use LinkedIn in the right way it can mean a lot to you and really help you build your network and land more speaking engagements. First, you want to create a profile that shows people that you’re a public speaker, so make sure to turn your head job line into saying ‘pubic speaker’. Otherwise, people won’t even know that you’re a public speaker, that way you’ll never land any gigs. It also helps to add keywords to your profile that people looking for a public speaker would look for. This increases your chances of being found by someone who needs a public speaker and is willing to offer you a speaking engagement. You also need be able to convince the people who are visiting your profile that you indeed have expertise on the topics that you speak about. You can add information about earlier speaking engagements you have had, including a link to that blog that you made and mention some achievements you’ve made. Perhaps you completed a course that has something to do with the topic that you speak about, then you should definitely add this to your LinkedIn page. Another smart thing that you want to do is adding any recommendations from people for whom you’ve done a speaking engagement before. This is why it’s important to always ask for a recommendation after every speaking engagements. The amount of good reviews adds up and will add to your credibility. You can even get this done a long while after you’ve had the speaking engagement as you can use LinkedIn to send these people a recommendation request. When you’re straight-out asking everyone you know whether they have a speaking engagement for you it will make you seem desperate and your credibility will start to diminish. This is the last thing you want to happen so you need to be as indirect as possible. In that way, you have much more chance of building a good reputation and landing better more speaking engagements in the future. A crucial part of landing more speaking engagements is that you need to nail the performances that you do get, in that way people will much sooner hire you. This means that you should always give 100% during a performance, even if it’s for a small crowd and you don’t get paid. Someone who can eventually land you the speaking engagement of your dreams might be in the public watching, who knows? This means that you should always prepare your speaking, make sure you show your best mood even when you’re not feeling too well and that you should be completely filled with energy while you’re on stage. To put down an amazing performance you also need to feel comfortable on stage. This is something that you can practice by taking on all the gigs you can get but it might also work to take some improv classes or any form of theatre classes. This kind of classes will force you to be in front of people performing and even though it may feel uncomfortable at first, you will truly learn how to perform and at some point, you will feel comfortable before any crowd. Another way of improving your speaking may be to work with a speaking coach who can teach you how to be more confident in front of people and how to get your message across more easily. Yes, you might need to spend some money to get a good speaking coach but I can assure you that it will be 100% worth it. Learning how to speak well is as you can probably expect the most important thing for landing more speaking engagements. A speaking coach can really help you with this and never hurts to meet at least once with a speaking coach to see if it is something for you. When you follow all these tips that I am certain that you will start landing more speaking engagements within no time. Remember that you first need to bring out some content so you can showcase people your talent, and you can spread this content through using LinkedIn in the best way. 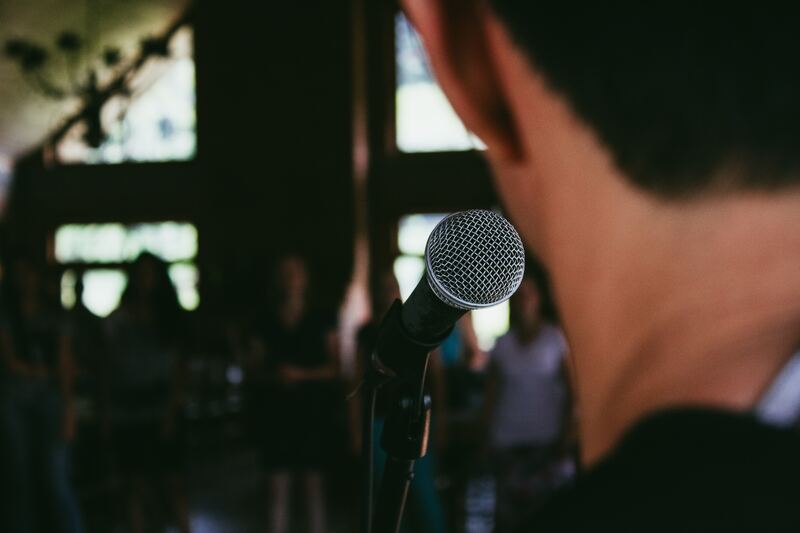 When you’ve landed your first speaking engagements then be sure to put down the best performance that you’re ever going to give. Each performance should be like the most important gig that you’re ever going to give, and if you practice enough then each performance will be better than the one before it. Once you’ve kind of built up your network and created a reputation for yourself then is the time that you’ll start building a reputation and you will be able to start landing paid speaking engagements. It might take some time to get there, but in the end, you will only end up at the top when you take it slow. Guest post sent by anonymous.